After the shutdown of Terrarium and Morpheus, there was significant competition among other relative applications for the topmost ranks. Out of all these applications, Cinema APK rose tremendously due to the quick availability of the latest content and great customer service. As of now, Cinema APK enjoys a massive user base. However, it doesn’t matter how great the fan following is of an application since each application has to go through a fair share of issues and errors. Same holds for Cinema APK as well. Reports from users indicate issues like Cinema APK Crashing, subtitles error, Real Debrid issues, and buffering issues. This is a common issue faced by the users of Cinema APK and you can fix the same easily by following the below steps. Please launch Cinema HD APK on your Android smartphone and search for your favorite content. Wait and let the application load all the available links. Click on any stream and instead of choosing the option ‘Play’, select the option of ‘Play with Subtitles. A list of languages will come up in front of you. Select ‘English’ from the same and enjoy. In case you are unable to install Cinema APK then the most likely cause of the same is that you are not following the correct installation steps. Follow our guide “How To Install CINEMA APK on your Android/iOS Devices “to get to know the correct installation steps and use the same for installing Cinema APK on your smartphone. The most likely cause behind buffering issues is your internet connection. Check the speed of your internet connection as too low a speed will, indeed, result in buffering issues in the application. However, if the speed of your internet connection is fine, it means your ISP is blocking Cinema APK to access the internet. In this case, it is advisable to install VPN and stream anonymously. Cinema APK might be crashing on your smartphone due to compatibility issues. If you recently updated your application, please revert back to the prior version since your smartphone hardware might not be compatible with the new updated version and refrain from updating again. In another case, your app might be crashing due to bugs or errors which require updating to fix. Search for updates, in this case, and update to the latest version to eliminate any bugs or errors which might be causing the app to crash. 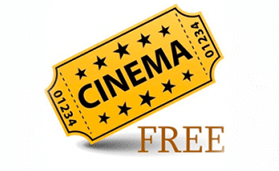 Check Out: Cinema APK for PC | Download Cinema HD APK on Windows 10/8/8.1 & Mac Laptop. In the majority of the cases uninstalling and then reinstalling the application fixes any kind of Real Debrid issues that the application might be facing. These were the common issues reported by the users of Cinema APK. In case you are facing any other issue not present in this guide, let us know about the same in the comments section provided below.